This covers books where the main topic is about Melbourne. 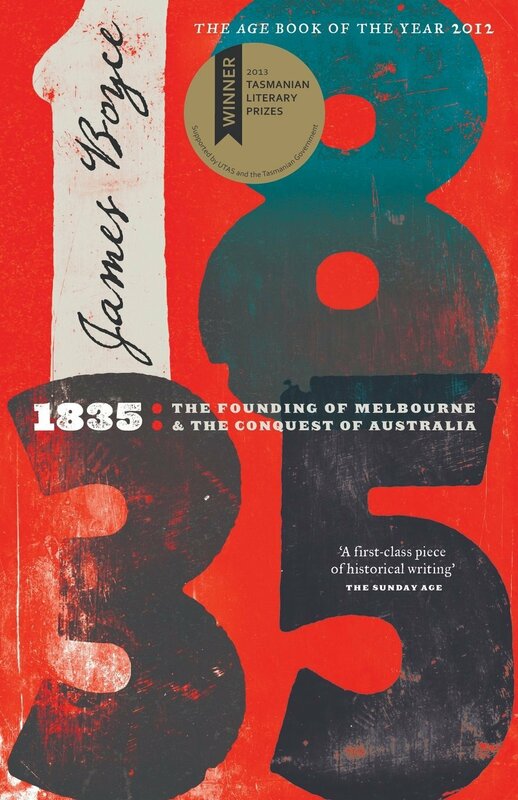 In 1835 an illegal squatter camp was established on the banks of the Yarra River. In defiance of authorities in London and Sydney, Tasmanian speculators began sending men and sheep across Bass Strait ..
Whelan the Wrecker's Melbourne By Robyn Annear Robyn comments on the changes to the Central Business District caused by the famous demolition firm, Whelan the Wrecker between 1892 and 1992. ..
Rosie Batty knows pain no woman should have to suffer. Her son was killed by his father in a violent incident in February 2014, a horrendous event that shocked not only the nation, but the world. Greg ..
Bayside Paths & Beaches by Robert Paterson is a recreational guide for the Melbourne bayside featuring the cities of Kingston, Bayside and Port Phillip. It takes readers around Beach Road and the ..
Bearbrass: Imagining Early Melbourne By Robyn Annear In 'Bearbrass', Robyn Annear resurrects the village that was early Melbourne - from the arrival of white settlers in 1835 until the first gold .. Beyond the Facade: Flinders Street was written by Jenny Davies and explores the 100 year history of Flinders Street Station. The history includes the social, commercial and architectural history o ..
Books about Melbourne is for Dan, who once asked if there were any books on Melbourne out there written by The Collector. A Bibliography of Melbourne Melbourne Architecture Philip Goad The Water .. Characters Cultural Stories Revealed Through Typography By Stephen Banham, Rick Poynor In Characters, Stephen Banham has meticulously researched the signage and typography of a city to present a .. The Cruden Farm Garden Diaries by Lisa Clausen and Michael Morrison Hardback Publication Date: 18/04/2017 Buy Online: Angus & Robertson | Booktopia | Fishpond This beautiful book was writt ..
Della Daboo is an animated children's eBook about a group of lizards set around Woolloomooloo on Sydney's harbour, Australia. The "tale" delivers a message around the theme of accepting individual .. Dirty Deeds is the first book written by an AC/DC insider (ex Bass guitarist Mark Evans), giving fans insight not only into the life of Evans but also that of singer Bon Scott and other rock 'n' roll ..
People who grew up in Melbourne's east may well have happy memories of picnics in Wattle Park, playing in the old tramcars or listening to the Tramways Band near the rotunda on a lazy Sunday afternoon .. The Encyclopedia is an A to Z reference work covering the city's history from pre-European settlement up to the present day. Alphabetical entries range from short factual summaries about places, i ..
Fifty Shades of Grey By E. L. James When literature student Anastasia Steele interviews successful entrepreneur Christian Grey, she finds him very attractive and deeply intimidating. Convinced t ..
Two time International Award winning book - Bronze medal at the International Publishers Awards - Best culinary travel cookbook in Australia awarded by The Gourmand World Cookbook Awards Disc .. The Centenary, Limited Edition of Jenny Davies' book, "Flinders Street, more than just a railway station" was launched outside the National Gallery, Fed Square Book Market, on Saturday 12 December 200 .. These reflections on 1960s Melbourne are going to start arguments. This is going to be the kind of book that starts arguments, because memories are dangerous to mess with. The editors of Go! Melbou .. When a Melbourne printer published a Guide for Excursionists from Melbourne in 1868 he was able to claim that it was 'the first attempt at publishing, in this shape, some account of what may be seen i ..
Melbourne based writer Heather Graves recent work includes a series of romantic novels based around thoroughbred horse racing in Melbourne. A keen race-goer, her books centre on the men and women ..
A funky, bordering on quirky insight into Melbourne's unique hidden treasures. Divided into four main themes covering places to see/things to do, shopping, food and bars/and clubs. Publisher: .. Humans In Melbourne book is a hardcover, 200 page coffee table book full of gorgeous photos and stories from both the "Humans In Melbourne" Facebook page as well as the @melbourneiloveyou Instagram pa .. If your little one is a baby gourmand and loves cafe culture, then I LOVE MY BABYCINOS is a must for their book collection. Research from Dairy Australia shows that only half of all Aussie kids age ..
"The Dry" is a literary crime novel in the style of Peter Temple, telling a story of desperation, resolution and small town prejudice, played out against the blistering extremes of life on the land. ..
Lost Melbourne looks at the cherished places in the city that time, fashion and progress have swept aside - the old cinemas, the outdated hotels, the Victorian buildings in the wrong place. Organis .. The book "Marysville, In Loving Memory" is a 32 page photographic essay by local photographer, David Casey, capturing Marysville's streetscapes and surrounds, prior to the devastating bushfires that d ..
Matt has to be Melbourne's finest photographer, if not its proudest Melburnian photographer. He has been capturing Melbourne on film for a long time selling prints, books and artwork in his shops a ..
Melbourne Precincts is a great new book out on sale now.. A Curated Guide to the City's Best Shops, Eateries, Bars and other hangouts. By Dale Campisi $34.99 Free shipping Australia wide | B ..
Melbourne Symmetry is the most recent and contemporary perspective of our stylish and unique city of Melbourne! This is not your average pictorial souvenir book. Melbourne Symmetry identifies with ..
Sophie Cunningham's book Melbourne is not your average local history book. Stories of Cunningham's school days in Hawthorn and publishing adventures in Fitzroy and Carlton sit alongside the coloni .. Experience this wondrous city through the stories of its significant sites and fascinating personalities. Read about the infamous Madame Brussels of Little Lon's red-light district; Robert Hoddle' ..
Melway Commemorative 1966 1st Edition OWN A SLICE OF MELBOURNE HISTORY. The year is 1966. Decimal currency is introduced.. Harold Holt's in charge.. the Saints win the flag.. and a Melbourne ic ..
My Melbourne Adventure is a delightful childrens book that takes you on an adventure through the city of Melbourne. Harry and Nelly are looking for their friends in the city of Melbourne. In their .. Author and photographer Nick Anchen has a long connection with the Dandenongs. Growing up in the Melbourne suburb of Croydon with the blue Dandenongs looming large in the distance, Nick explored the r ..
Once Upon a Time in Melbourne Non-Fiction > Biographies & True Stories > True Stories > True Crime By: Liam Houlihan Buy Online: Angus & Robertson | Booktopia | Fishpond Once upon a time in ..
Did you know that Melbourne is a UNESCO City of Literature? Treat yourself to some great Melbourne stories - fact and fiction - by taking a look at the Melbourne Library Service Melbourne booklist. ..
Melbourne's queer history can be read through its streets and alleys, its parks and (almost) private spaces. Secret Histories of Queer Melbourne invites you to follow in the footsteps of some of those .. The Slow Guide is for anybody who wants to slow down and live it up, seachange without shifting postcode. They celebrate all that's local, natural, traditional, sensory and most of all gratifying ..
Join Andy and Terry in their spectacular new 78-storey treehouse. They've added 13 new levels including a drive-thru car wash, a combining machine, a scribbletorium, an ALL-BALL sports stadium, An .. The Man Who Invented Vegemite is the story about Cyril Callister, the man behind the story of Vegemite. Vegemite is perhaps Australia's most enduring cultural icon. But how did this pungent, salty .. The Melbourne Design Guide Alphabet Press sprang into life in 2007 as an attempt to fill the chasm that is design and architecture publishing in Australia. The Sydney Design Guide (2007) and th .. The Rosie Project is an international bestselling romantic comedy 'bursting with warmth, emotional depth, and..humor,' (EntertainmentWeekly) featuring the oddly charming, socially challenged genetics ..
Stephen Howell's The Story of the Melbourne Cup, Australia's Greatest Race celebrates the remarkable history of a wonderful horse race - one of the world's most famous and enduring tests of a thorough ..
Hazel Edwards is a Melbourne based author who writes books and scripts for children and adults. Picture book 'There's a Hippopotamus on our Roof Eating Cake' is her best known title which has been con ..
We are very excited to announce that our Melbourne Trivia writer Alan Lovett has written his first book Trivia Nights for DUMMIES due for launch on August 28, 2007. Part of the very successful DUMM .. When We Think About Melbourne the imagination of a city Jenny Sinclair My friends believe my interest in Melbourne is more of an obsession than a passion but at the same time, they then go on to ..
Costa Rolfe's bestselling book has been updated to include the 2008 winner and now features a foreword by one of the most respected figures in Australian racing, Bart Cummings. With snappy 500-wor ..
To commemorate 60 years of Turkish Cypriot migration to Australia, a historical book has been published that will surely live on forever. Yesterday & Today details the lives of early settlers, seco ..